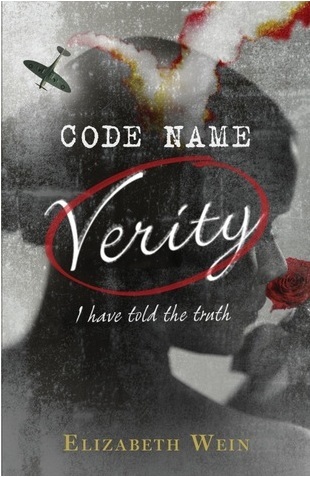 Code Name Verity opens with a British spy, ‘Verity’, telling us how she was captured by the Gestapo and is currently being held and interrogated at their headquarters in Ormaie, a town in occupied France. The first person narration of Code Name Verity is soon contextualised: Verity is writing an account of her past and her mission for her captors. She has two weeks to do so, at the end of which she’ll be executed. I don’t want to give away any more of the plot than this, so I’ll just add that this novel is divided into two sections, and that the second narrative illuminates and comments on the first. This is the kind of book that will make you want to go back to the first page and start all over again the minute you’ve finished. Once you know the full story, you’ll read the beginning with entirely new eyes. The way the narrative is framed gives Code Name Verity a degree of emotional intensity that you don’t find in many novels. This is a dark story; one that doesn’t shy away from the reality of torture in wartime. But because everything Verity is writing is addressed to the Gestapo, the worst of it must be read between the lines. The result is subtle, but no less horrifying for that. I am in awe of the way Wein managed to create a narrative like this: a narrative created by a prisoner of war who is being tortured; a narrative that communicates so much even though you know it came into being under severe constraints and cannot be taken at face value. I’ve been in a bit of a fiction reading slump these past few months, and a highly absorbing novel like Code Name Verity was just what I needed. I hadn’t read anything this satisfying since The Brides of Rollrock Island back in February. As some of you might know, the topic of women’s roles in WW2 has commanded a big chunk of my reading attention over the years, so I admit I was predisposed to really love this novel. However, I don’t think you need to be interested in the topic to enjoy Code Name Verity — above all, this is an incredibly human story about human connections, our understanding of courage, resilience, and loss. The story Verity tells in the first part of the novel is largely about Maddie, a wartime pilot and her best friend. Code Name Verity explores the intense connection between these two women, a connection that’s just as real and life-changing as any romance. I desperately want to find more stories that acknowledge the power and reality of non-romantic ties, especially between women. It’s not that these stories don’t exist, but they don’t have anywhere near as much cultural salience as either love affairs or stories about intense friendships between men. So I’m always happy to find one that contributes to changing that, and Code Name Verity does it extremely well. The strength of the ties between Verity and Maddie, the emotional intensity of the story, the cleverness of the structure, and the degree of heartbreak at the end all put me in mind of Sarah Waters’ brilliant The Night Watch. The two novels are completely different in many ways, but I think fans of one are very likely to enjoy the other. Last but not least, Code Name Verity explores the idea of truth: the way two entirely different narratives about the same set of events can be simultaneously real; the relationship between truth and omission; the deliberate process through which we select among the many possible narratives that could emerge out of our lives. The way the novel deals with these themes is – like everything else about it – extremely smart and satisfying. I’ll be very surprised if Code Name Verity doesn’t make my favourites of the year list. Maddie flew back following the 70-mile, 2000-year old dragon’s back of Hadrian’s Wall, to Carlisle and then south through the Lakeland fells, along Lake Windermere. The soaring mountains rose around her and the poets’ waters glittered beneath her in the valleys of memory – hosts of golden daffodils, Swallows and Amazons, Peter Rabbit. She came home by way of Blackstone Edge above the old Roman road to avoid the smoke haze over Manchester, and landed back at Oakway sobbing with anguish and love; love, for her island home that she’d seen whole and fragile from the air in the space of an afternoon, from coast to coast, holding its breath in a glass lens of summer and sunlight. All about to be swallowed in nights of flame and blackout. Maddie landed at Oakway before sunset and shut down the engine, then sat in the cockpit weeping. More than anything else, I think, Maddie went to war on behalf of the Holy Island seals. People are complicated. There is so much more to everybody than you realise. You see someone in school every day, or at work, in the canteen, and you share a cigarette or a coffee with them, and you talk about the weather or last night’s air raid. But you don’t talk so much about what was the nastiest thing you ever said to your mother, or how you pretended to be David Balfour, the hero of Kidnapped, for the whole of the year when you were 13, or what you imagine yourself doing with the pilot who looks like Leslie Howard if you were alone in his bunk after a dance. The horror and humiliation of it weren’t in that you were stripped to your underthings and being slowly taken to pieces, but in that nobody seemed to give a damn. They were not doing it for fun; they were not in it for lust or pleasure or revenge; they were not bullying me, the way Engel does; they were not angry with me. Von Linden’s young soldiers were doing their job, as indifferently and accurately as if they were taking apart a wireless set, with von Linden doing his job as their chief engineer, dispassionately directing and testing and cutting off the power supply. Also, make sure you read Elizabeth Wein’s guest post at The Book Smugglers about her literary influences. She mentions Dorothy L. Sayers and Saplings, which kind of makes me love her a lot. LOVE this review! Such a well-written analysis of a beautiful book. It makes me happy that you loved this too, Ana. I liked what you said about Code Name Verity being an absorbing read even if you're not interested in WWII because that's how I felt. I fell in love with EWein's writing because of her ability to make her characters come alive - I even told her that her book made me cry. I'm leaning into my computer as if I try hard enough, the book will magically just APPEAR in front of me! Oh I want to read this book SO BAD!!! All you had to do is mention Night Watch. I have so many print books in my queue, but I have to find time for this one. What a great post today! I think this book sounds incredibly tense, and as you mentioned, the fact that this is written primarily for the Gestapo makes it all the more haunting and intriguing. I can imagine that I would be totally entranced by this book, and will be looking for it. Amazing review today! I think a lot of readers will be excited by this one! So now I really want to read this AND Night Watch. On a purely superficial level, this cover is fantastic. As you point out, it is difficult to find non-romantic, healthy relationships between women, but it's also difficult to find (fiction) books that highlight women's in espionage during this time period. Fantastic review, and thanks for introducing me to this book. Oh this one sounds fantastic. Must get my hands on it! Great review, as always. Wow, that sounds like quite a story and an unusual way to tell it. I'm wondering if you learn how Verity's story ends. Oooohhh. This sounds so wonderful. What you really snagged me with was the way you've described the relationship between the two women: sign me up! I'm intrigued :), especially because of what you say about the structure of the novel. I love The Night Watch, so I would probably like this one a lot, too. This sounds fantastic and just like the right thing to get someone out of a reading slump! I agree there aren't enough stories about women's friendships in the world, especially in wartime settings. There seems to be a default here for male "best friend from the trenches"-type stories. I suppose there were fewer women who would have had such a direct wartime experience. But they did exist and stories like this one are worth telling - as are those of the women who stayed behind while the men were busy shooting at each other, of course! I'm happy you enjoyed this so much and skipping over to Goodreads right now to add it to my reading list! Happy you found a book to bring you out of your slump! I usually don't read much WW2 fiction - I think it's because I feel I don't know enough - but this one sounds so good. I may have to pick this one up. Sounds like a very good read! I love when you finish a book and want to start it over all again. Sounds like a interesting and powerful read, but would really need to be in the mood for such a dark tale. Oh, I want! I think I would really like this! I think I would never spontaneously look for a book like that, but your review makes it really interesting. Now I want to read it, and fast! Thanks for this review. I am so excited to read this one. 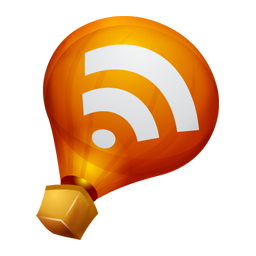 I've got this on every reminder list that I have now and also featured your review on my paper.li. Thanks, Ana! I have pretty much been standing around switching my weight from one leg to the other WAITING for my library to get this book. Elizabeth Wein is my one of favorite writers. This will be the first novel she's written outside her initial series of books set in post-Roman Britain and north Africa--hard to imagine her doing modern history, but from your review it sounds like she makes the transition well! Your review has made me so glad I already bought this book! :D It sounds amazing and, as usual, you've analysed it perfectly and really got me interested in reading it ASAP. And I loved The Night Watch - so it looks like this is a read for me. Great review, I totally agree. I was really surprised to enjoy this book as much as I did. I don't know what my expectations were, but it certainly outdid them :) I must read more by Wein.